More than 100 student sportsmen and women recently rolled up their sleeves to donate at a specially arranged clinic for sports clubs at Cardiff University. 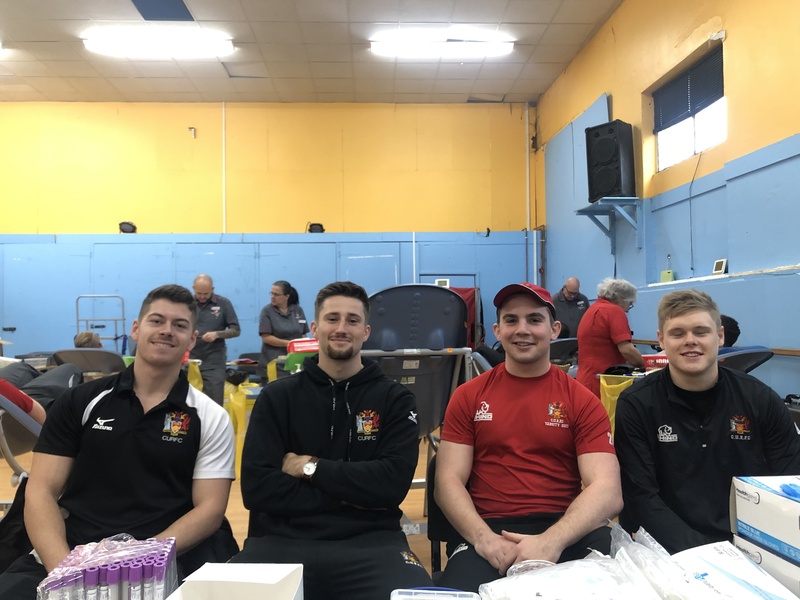 The special ‘sports clubs’ clinic, hosted at Cathays Community Centre, was arranged at the request of Cardiff University Men’s Rugby Club, who committed to filling over 100 appointments by rallying their fellow students. The rugby club was joined by donors from the Men’s Cricket Club, Women’s Rugby Club, Women’s Hockey Club, Men’s Hockey Club, Women’s Rugby Club and the Medics’ Netball Team. Having encouraged over 50 of his rugby team mates to join him in donating at a session in Cathays last year, lead organiser Will Bull was confident he could mobilise sportspeople from other university sports clubs to become donors. Speaking of the session, Will Bull said: “The lads that came along to donate last year were impressed by how simple it is to donate, so this year we decided to put out the call to other sports clubs to join us and find out for themselves. Of the 100 donors that donated on the day, 40 donors also enrolled on the Welsh Bone Marrow Donor Registry. The Welsh Bone Marrow Donor Registry is a register of volunteers that is searched daily for potentially life-saving matches for patients in need of a bone marrow transplant. One donation of blood can potentially save up to three lives. The 100 donations achieved by Cardiff University’s sportspeople at this session could have a positive impact on up to 300 lives. Jonathan Ellis, head of donor engagement at the Welsh Blood Service and a former Cardiff University student, said: “Attendance at our donation sessions across Wales relies on us having advocates in local communities to help spread the word about blood donation. Cardiff Men’s Rugby have been a huge driving force in the success of this session. To book a blood donation, click here or call 0800 252 266.